The 2017 Chevrolet Cruze adds a hatchback model to take on similar hatchbacks like the Hyundai Elantra GT, Ford Focus, Kia Forte5 and, of course, the Volkswagen Golf. It expands the appeal of a car that was already pretty appealing. With plenty of modern features and a relaxed driving style, including a new diesel engine, the Chevy Cruze is a solid compact-car choice. I love the Cruze's features. There's a glitch with the computer in the car though. I love my Chevy Cruze LT. It's wonderful on gas. I can go quite a long time without refueling it. The backup camera and iPhone compatibility with the dash screen is absolutely wonderful. I love how reliable Chevy vehicles are too. I'm in love with the feature that shuts your engine off when you come to a stop in order to save gas. The one complaint I have is that there appears to be a glitch with the computer system in the car from time to time. The backup camera would go black saying, "maintenance required". I've even been unable to start my car due to it saying the FOB is wasn't detected. Nothing in my car could've been blocking the signal either. The dealership service said that it's a computer glitch that some people other than me have been experiencing. Nothing wrong shows up on the computer when examined by the dealership. It would be nice to get this glitch fixed so I don't have to worry about it happening again to me. It has lots of bells and whistles, many of which I don't use. I wanted a cruze wagon because of excellent reviews, and this was the last one on the lot, so, even tho it was a sports model, it WAS on sale, and it gave me the room to transport gardening supplies..and my granddaughter and her belongings on her return to college. Keyless entry and start are great. I (and lots of others), love the blue color and sporty look. One drawback of the sports model--it's low(closer to road surface) so driving up my daughter's dirt mountain road is a BIG challenge. The back-up assistance on the dash screen is something I needed and rely on. free 2-year ONstar is great, but I don't use it because I can't hear it clearly. Great mileage! Heated seats are great for my bad back. 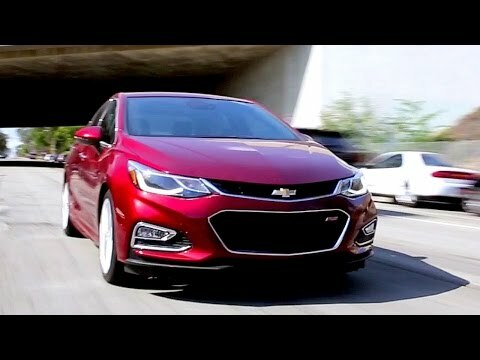 Used 2017 arctic blue metallic Chevy Cruze review. I just bought my used 2017 Chevy Cruze this past weekend. It has great handling, the seats are extremely comfortable, and I love the purr of the engine. I love my rear-view camera, but I still always look behind me anyway to be safe. As for my concerns, my Cruze has its own Wifi but if you try to send any type of picture using the Wifi, my iPhone says it was not delivered. Whoever I am texting will reassure me that it was delivered though. Next, I was surprised that this car did not come with its own navigation system. However, I can plug in my phone and the maps will show up on the entertainment screen in my car. I have not used it yet though in this car. I am also having difficulty playing my Spotify list. The screen keeps buffering and I'll end up giving up and putting on the radio. I am sure I'll figure it out eventually though.